it' now up to it' now up to "city" leaders to decide if a new jail will be built on the former international former be built on the former international paper property in terre haute. good evening and welcome to news 10 nightwatch. a third party lawyer says the county needs to abide by city rules. the county has rescinded a request for site variances... and is now asking to rezone the property... specifically for a new jail. news 10's heather good is live at city hall. she was at tonight's city council meeting. she joins us now with more on what happens next. patrece... this was the outcome city council members had hoped for... and it means they will have a say on whether or not a new jail is built on the former i-p property. this is what happens next. i spoke with city attorney eddie felling at tonight's meeting. he explains the deadline to request a rezoning -- to have it considered next month -- was yesterday at noon. so... tonight... the city council voted to suspend the rules in a 6-3 vote. this means the process can move forward. the rezoning request will go to area planning... and then to the city council in december. the board also approved a resolution insisting the county follow city rules -- even though the county already agreed to do so. one group against using that space for a jail is riverscape. a spokesperson for the group was at tonight's meeting to show the council their ideas for the space. charlie williams, president of wabash river development and beautification, inc., says, "i think we need to take into account the potential of lost opportunity cost. this property comes along maybe once a century. it's available. if we use it for a jail? there are plenty of places the jail could be in terre haute and vigo county." you can learn more about the riverscape vision for the property by clicking on this story on our website. if the city council denies the county's request for rezoning... the county would have to wait at least a year before making the request again. the county could appeal the decision... and i asked felling how long that could take... and he says it has never happened before. 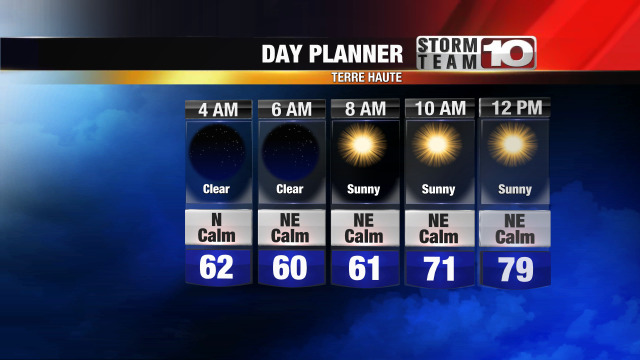 live in terre haute, heather good, news 10.